Ten years ago, the idea of an app that allows homeowners and contractors to submit a photo of a tree to a website that will assist with re-planting and removal, seemed like just a pipe dream. Re-Tree, however, has turned this concept into a reality. Their work is giving beautiful trees of value a second chance at life and we can’t wait for this app to make its way to South Africa in the future! Read the article below to find out more about Re-Tree and the work that they do. Mature trees and shrubs are assets that require a significant amount of time to create, so it is natural to wince at times when a project calls for the removal of one. More often than not, these plants are unfortunately destroyed to make way for new construction or the renovation of a space. Yet Re-Tree, a new operating division of Green Acres Tree Farm, Inc. based in Pontiac, Michigan, is working to prevent this from happening. 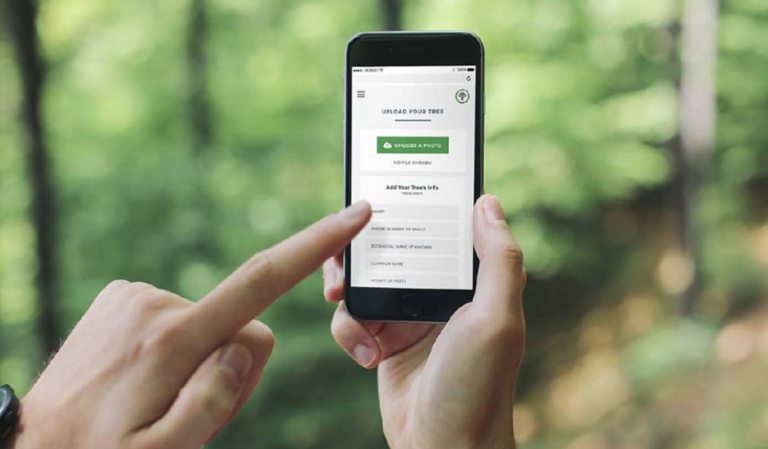 Re-Tree provides a web-based application where both landscape contractors and homeowners can upload an image, description and contact information about a tree or shrub that is being removed. A Re-Tree representative will set up a meeting to assess the accessibility and ultimate value of the plant based on factors such as the size and species. Once this is determined, the seller pays a minimal fee for the use of the Re-Tree app to upload the tree in the catalog. Re-Tree’s catalog can be searched by landscape contractors and landscape architects nationwide to find the mature plant material they need. When the plant material is sold, a percentage of the sale price goes to Re-Tree and they rebate a portion of the app usage fee back to the contractor or homeowner. Thanks to Re-Tree’s sister company Green Acres Tree Farm’s experience as a grower and supplier of mature trees for over 35 years, the business is well-versed in the handling and care required for the transplanting and holding process of the trees. Re-Tree places the tree in the catalog before they dig up the plant in hopes that a buyer will be lined up already by the time they carry out the removal so the tree can immediately be transported to its new home rather than taken back to their 3-acre above ground facility for holding. Currently, Re-Tree is available for those in Michigan, but it plans to expand into the greater Chicago area by spring or summer 2019. Vidosh says Re-Tree will grow at a pace that ensures it can keep its process consistent and will expand into other cities as more people become familiar with the business. As for the survival rate of the replanted trees, Re-Tree says it often isn’t involved in the planting process, but if the tree is planted properly by the buyer, the mortality rate is less than one percent at both Green Acres Tree Farm and Re-Tree.